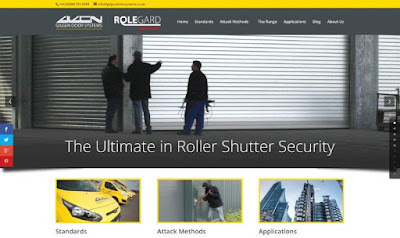 The site at www.rolegardshutters.com helps architects and specifiers understand industry security standards, the types of attack risk posed by terrorists and criminal gangs and the most important considerations when specifying security shutters for different applications. Gilgen is a market leader in the design of high security shutters designed to target harden facilities and reduce the threat of attacks in high risk environments. The extensive Rolegard security shutter range has been tested to stringent LPCB (Loss Prevention Certification Board) standards, meeting LPS1175, Issue 7, Level 2, 3, 4 and 5. This means the shutters have been tested against a range of professional attack methods including the use of high end cutting and drilling tools. Recently Gilgen was the first company to launch an LPCB approved SR5 rated security shutter with a certified ballistics rating. Designed to help protect facilities against emerging threats such as hostile incursion and swarm attack, SR5-B combines the highest physical attack standard achieved in a security shutter with unrivalled ballistics and blast protection properties. 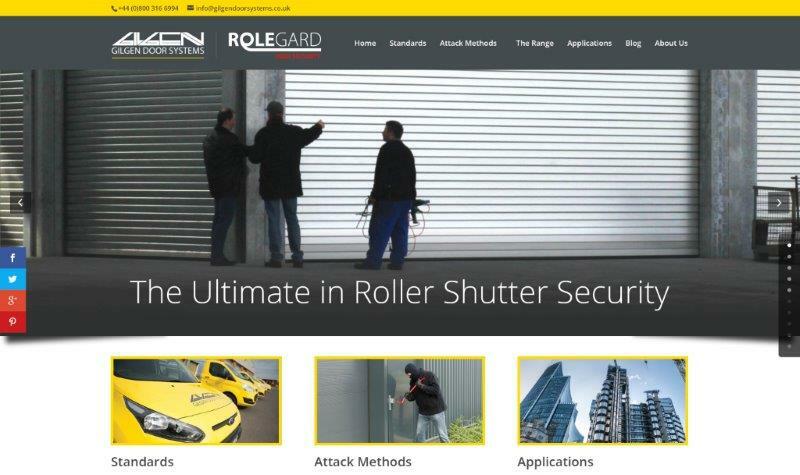 “We are delighted to have launched our new portal” says Roger Massey, Marketing Manager of Gilgen Door Systems “With attack methods constantly evolving it’s important to evaluate and specify a level of security appropriate to the attack risk. Our portal enables customers to tap into free information, advice and project examples to help them make an informed choice when specifying security shutters for their building projects”. Gilgen Door Systems has over 50 years experience in the design, manufacture, installation and maintenance of industrial doors, security doors and automatic doors across a vast range of applications. The Rolegard range meets Police Preferred ‘Secured by Design’ standards and is suitable for a wide range of high risk applications including banks, financial institutions, museums, government buildings, retail, military facilities and critical national infrastructure such as utilities and transport hubs.